Updates to Madge's profile since your last visit are highlighted in yellow. Retired and being a Granny!!!!! Darren and his More…wife Sera have four children: Julia, elyse, Josh and Ethan. Darren is retired and they have a successful publishing company and are distributors for Young Living oils, traveling, home schooling and building a new home. I married Eddy two days after our high school graduation and we were off traveling with the Navy until 1972. We lived several places in New Mexico moving back to Roswell in 1983. I worked at ENMU-Roswell as a secretary and started college classes, receiving an AAS Degree before moving to Rio Rancho in 2003. I worked at UNM for a year and began working on my bachelor's degree. After five years in Rio Rancho, we decided to move to Kansas where Jenny and her husband live. We like the slower pace but sure miss the Mexican food. I was a para with special ed students for four years after I got that degree and now working in the registrar's office at our local junior college.We are now retired, so to speak, and enjoying being able to be in the same town with two of our grands! I was an office aide my senior year and was able to "help out" (meaning I would make sure I "called" to verify an absence) when one of my group (Molly, Oretta, Connie, Margie) took a detour from school. But, one time when three of us went on an afternoon field trip with some guys we knew, we were confronted by Molly's mom when we got back to her house (seems the school called) and it was a very long, silent trip taking me home. I was the only one who didn't get a three day suspension. My mom would always vouch for me, unlike me with my own kids; I was really mean!!! Lydia Villescas Barnhouse posted a message on Madge Gonyea's Profile. Happy Birthday! I hope you have a wonderful day with your family. 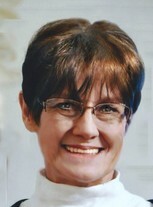 Madge Gonyea Johnson updated profile. View. Madge Gonyea Johnson added a photo to profile gallery. New comment added. Robert Stevenson posted a message on Madge Gonyea's Profile. Madge Gonyea Johnson has a birthday today. Paul Viera posted a message on Madge Gonyea's Profile. New comment added. Happy Birthday, Madge! Belatedly wishing you a wonderful year of blessings and joy. KLUJICS! Respectfully, Paul Viera, RHS 65 Classmate Go Coyotes! Madge Gonyea Johnson added a comment on Dee Tapp Kirkham's Profile. Paul Viera posted a message on Madge Gonyea's Profile. Happy Birthday, Madge, and Happy New Year, too. May you inspire many to do great things by your example. Respectfully, Paul Viera, RHS 65 Classmate. 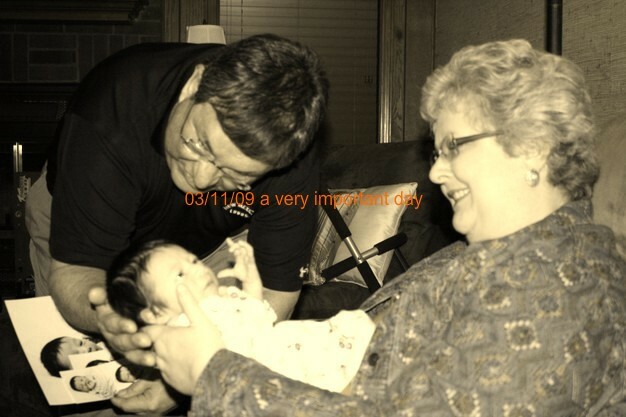 Madge Gonyea Johnson changed profile picture. New comment added. Happy Birthday, Madge! Hope you and Ed are well up there in Pawnee Rock, KS. I hope your birthday and the New Year of 2015 are both great. Christmas seems to have come and gone like a whirlwind but of one thing I'm sure, Jesus is still the main reason for it and always will be forever and until He comes again we celebrate and "thanks be to God for his unspeakable gift" (2 Corinthians 9:16). Hope to see you in September. Madge Gonyea Johnson joined via Class Connection Facebook app. Hallelujah! He IS Risen! Happy Easter! 1st Corinthians 15:1-5. Respectfully, Paul Viera, RHS 65 Classmate. Because He Lives. Cheryl Purdy Williams posted a message on Madge Gonyea's Profile. Molly Yeager and I in Santa Fe. With Oretta (Thompson) Graves and Margie (Russell) Merritt. Eddy and I in San Antonio, July 2009. Just a random photo of me.